Sometimes when I check Conor's homework, I get a good chuckle. Like the times he uses the "wrong" words to complete sentences. In his defense there is often more than one way to use the words in the box. 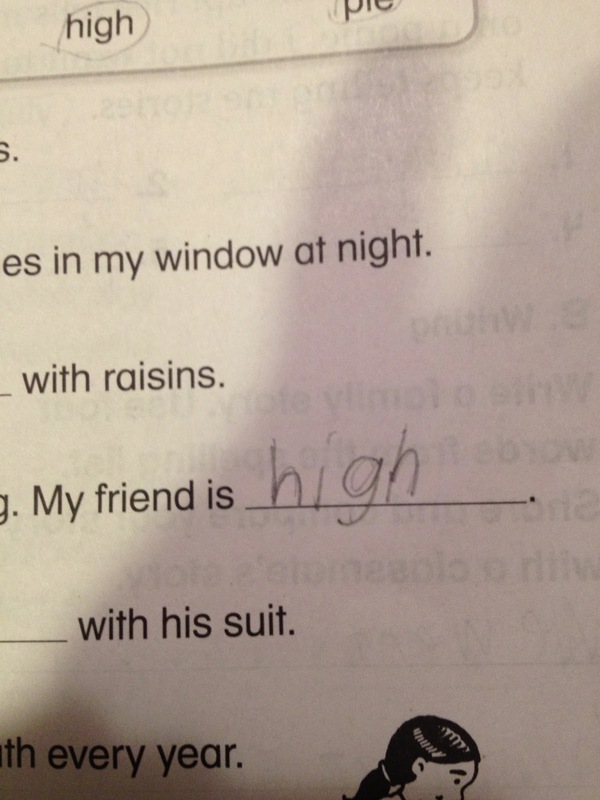 In this particular example, he switched the words "high" and "tall," so his sentence read, "My friend is high." I gasped a little, and then asked him what he meant by that. He simply replied that his friend was up in a tree. What a relief! 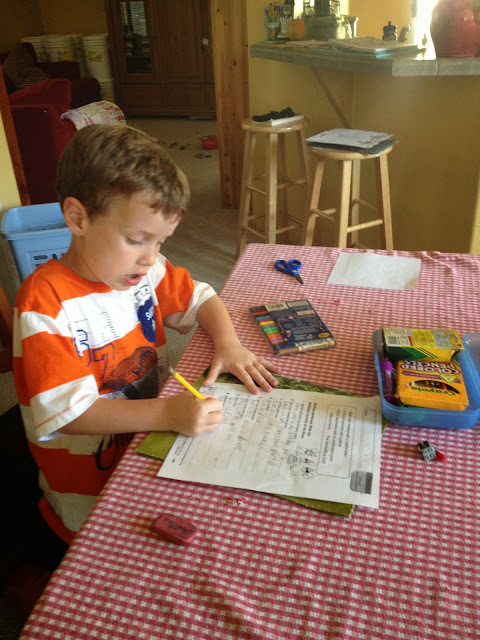 Then the other day, he was sitting at the table with his dad doing homework, and I was listening in now and then from the living room. He started talking about zombies and I asked him what he was doing. He said that he had to make sentences, but he wanted to make his sentences into a story. But then things started getting pretty gory. "My dad helped me stab a zombie with a knife until we killed it." "Wait, a second," I called into the dining room. Maybe we don't need to be quite so graphic in there. We could end up with a referral for a sentence like that." And Adam piped up, "Yeah, son, let's not be giving Dad a knife. Things are getting crazy. Kill the zombie, but leave the stabbing out of it." "Fine," he said, and he changed his sentence to a simple, unimaginative, "My dad helped me kill a zombie and saved my family." We decided to leave the details up for interpretation. Sometimes 2nd grade in public school can be so confining.